Space is perhaps the most critical issue that urban dwellers face today. Anyone who has had the experience of searching for an apartment or condo unit in the city will know that a few square meters of living space may very well cost an arm and a leg. Depending on the location, you may have to throw in one of your kidneys as well! Living in cramped quarters shouldn’t be all that bad – if you can find miniature sized furniture that suits your fancy. But what if technology gave you the option to only own a few pieces of furniture that changes to the specific item that you need or want? 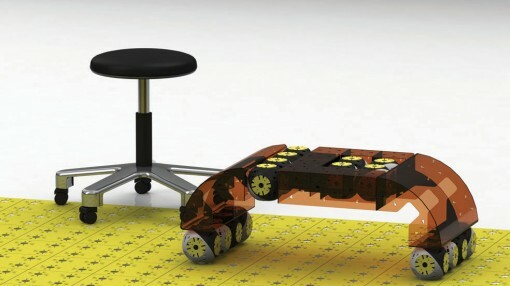 Scratch that – what if you can own tiny robots that can configure themselves to build the piece of furniture that your needs dictate? That is what Roombots is all about. 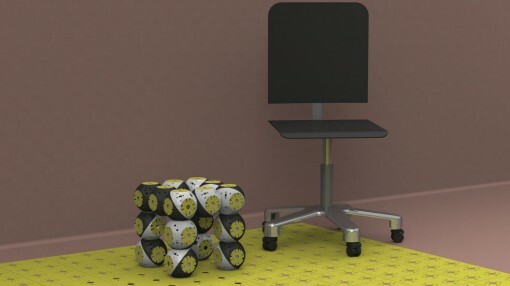 The guys at Biorobotics Laboratory are working on a concept that might provide the ultimate solution to interior design for the space-starved. 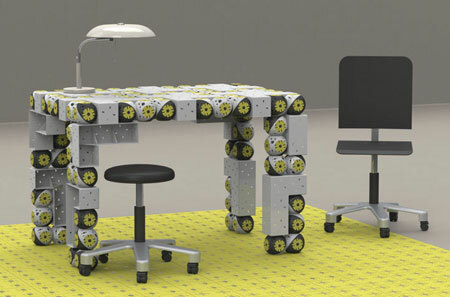 Roombots are modular robots that serve as building blocks for practically any piece of furniture that one will need in the house. If this concept becomes reality, you may very well find yourself sleeping in a bed at night – a bed that can convert itself to the dining table which you will use for breakfast. What the bots will do with the bedding, I have no clue. You do get the idea, right? Here are some photos of the concept. 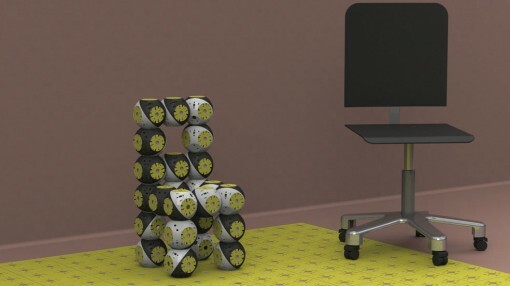 I am not sure about the aesthetic value of the Roombots, but I am sure that can easily be tweaked once the technical aspects have been perfected. For the technical details and videos of the bots in action, visit Biorob.